The Cygnett PowerMini 2.4 Dual USB Car Charger in white offers super-fast and convenient charging for devices such as your smartphone or any other device that charges via USB cable. 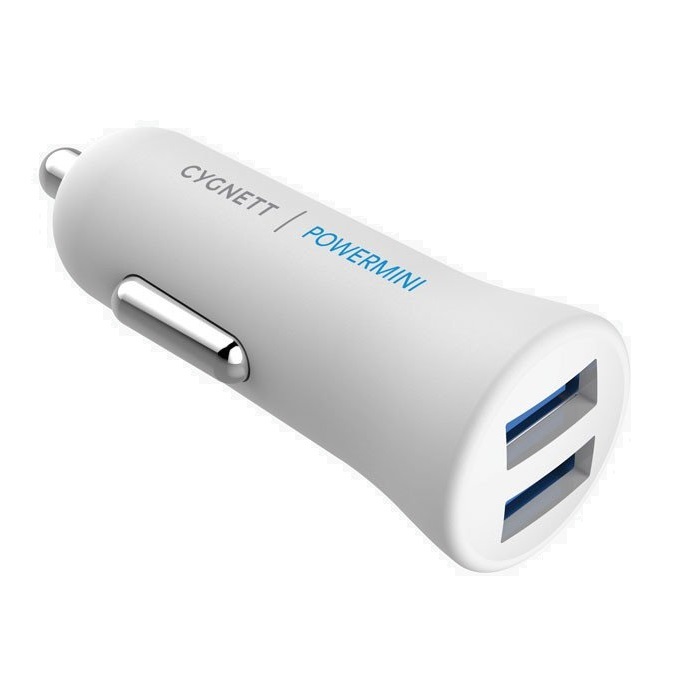 Providing you with 2.4amp / 5v power resulting in a 40% faster charge than your standard 1amp charger. With the added convenience of dual ports it can charge two USB powered devices simultaneously.